Last month, Forteza instructors Keith Jennings and Trey Ptak traveled to Detroit for a three day seminar with Martial Blade Concepts founder and head instructor Mike Janich. In addition to the knife instruction for which MBC is famous, Janich also brought students through the core skills of Sobadiwon Escrima; his direct, no nonsense approach to stick fighting. An accomplished student of MBC who has trained directly with me and displayed the skills, understanding, and character to earn my recommendation as a source of training. Affiliate Instructors are typically already certified instructors of other martial arts systems and therefore have teaching experience. At their discretion, they may include as much or as little of the MBC curriculum as they want in their teaching; however, they remain a resource for accurate, authentic inquiries regarding the MBC system. Congrats, Trey! 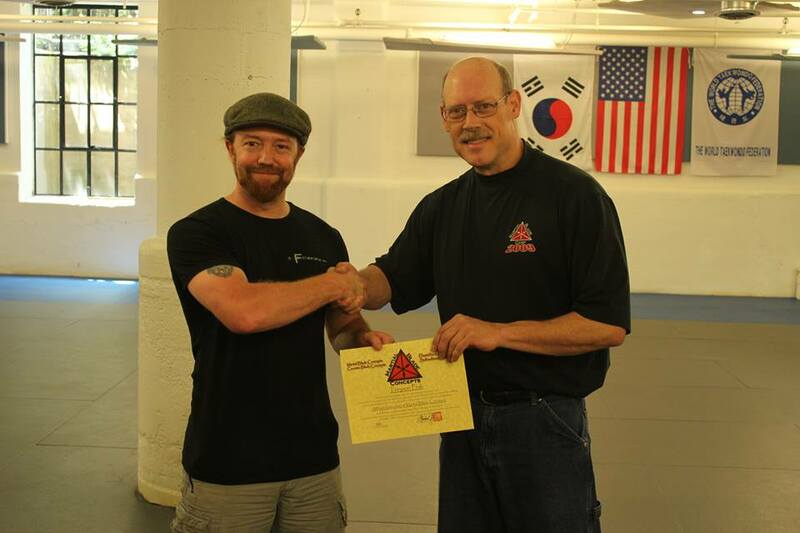 Trey hopes to test for full proficiency in MBC within the next year or two, and will continue to assist with the development of the weekly Forteza Combatives classes.